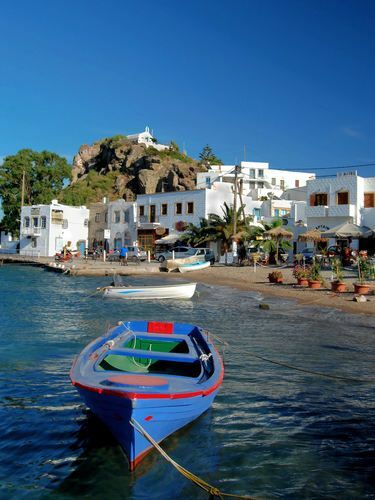 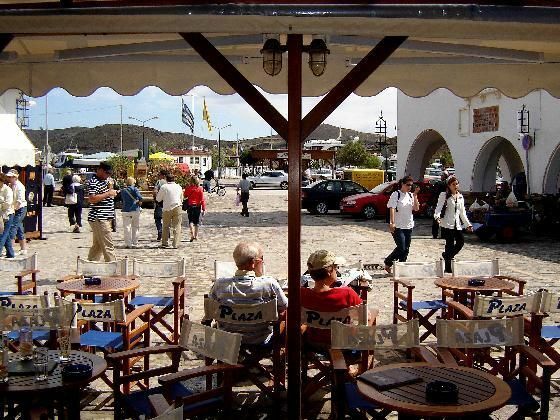 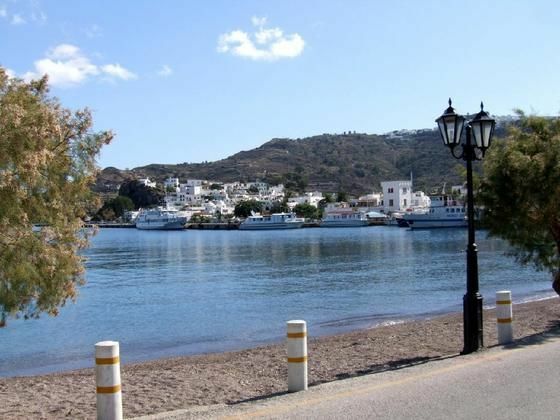 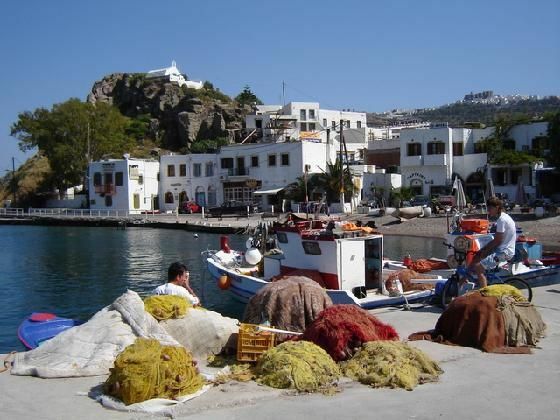 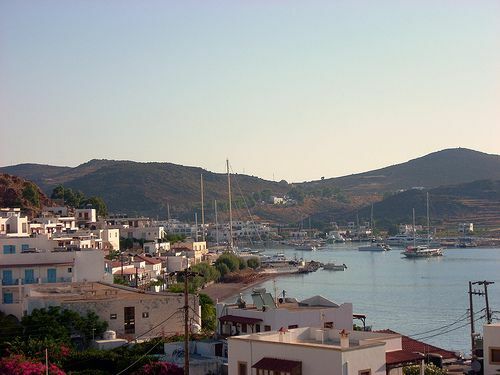 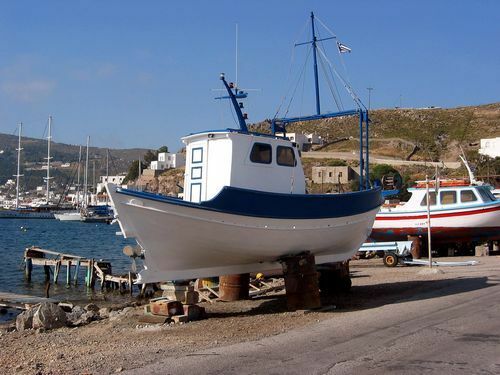 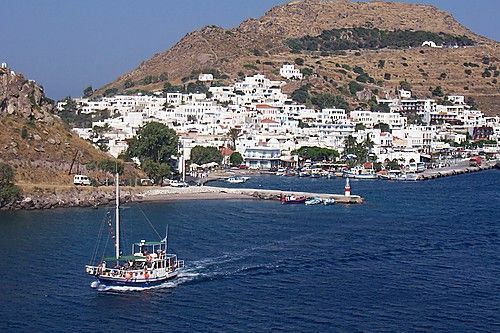 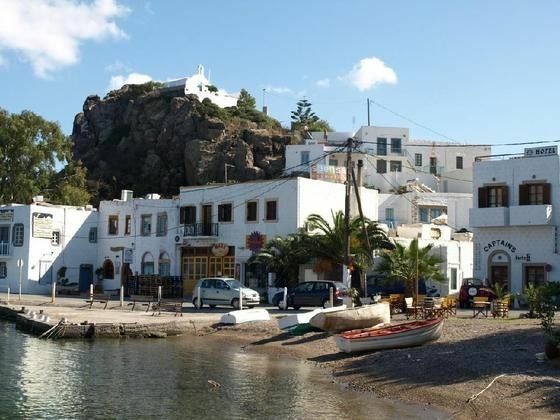 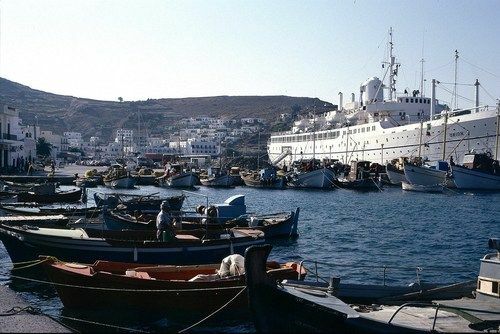 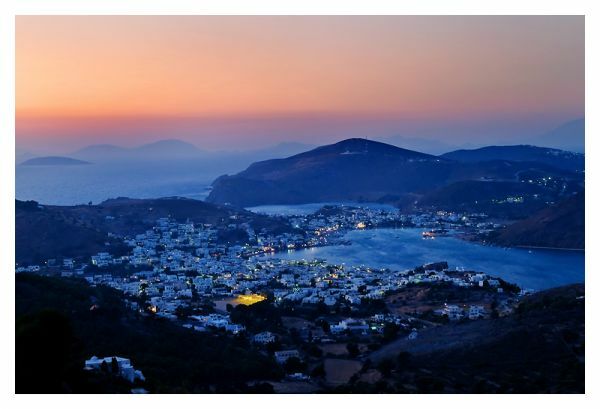 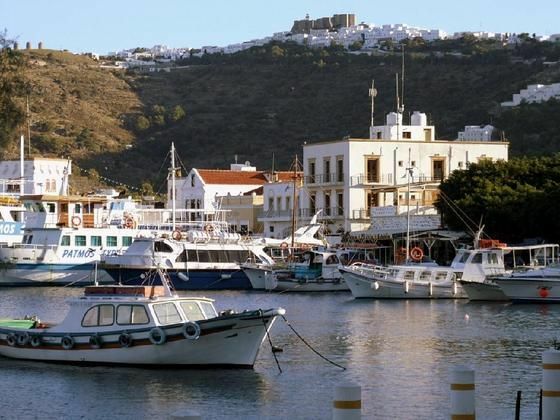 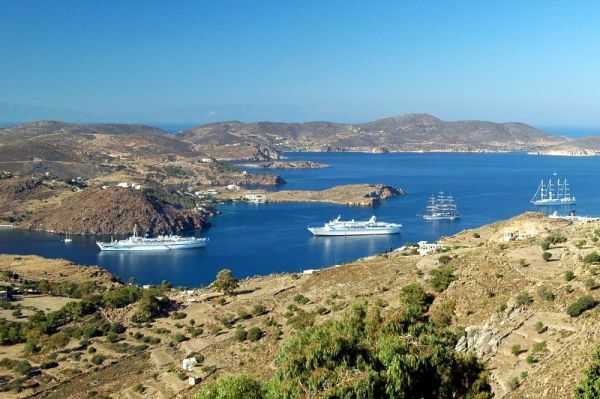 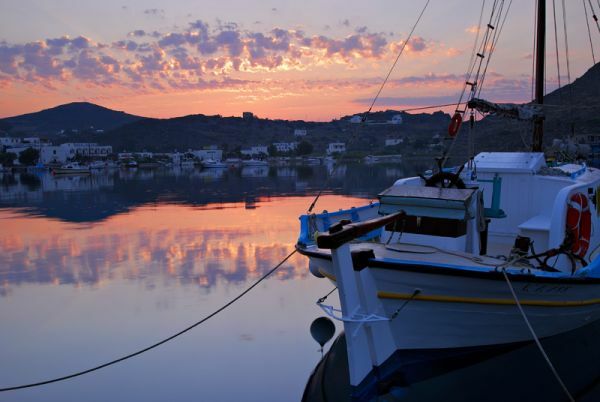 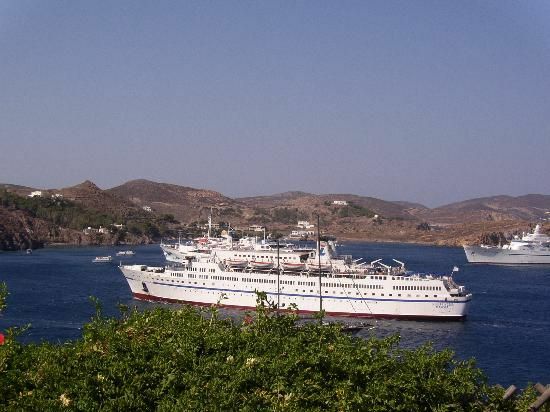 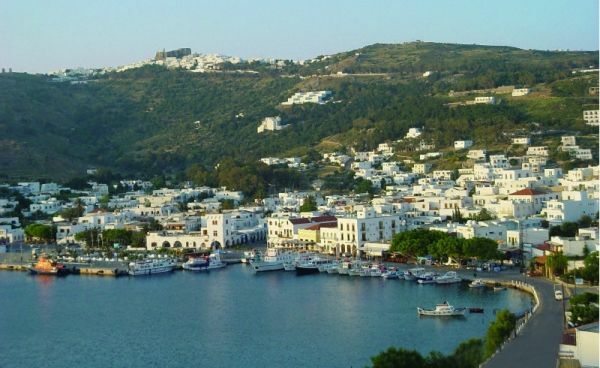 Skala is Patmos' main Harbour and its biggest village (apx 1.500 residents, almost half of the total population). 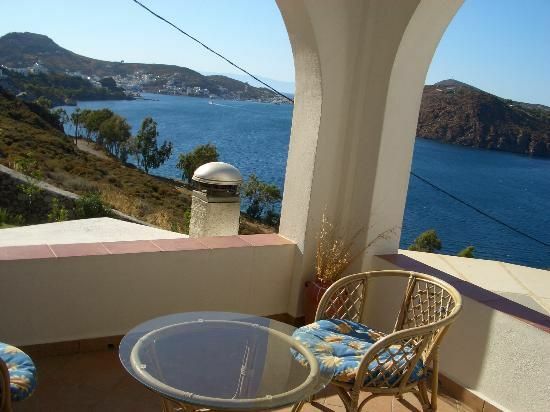 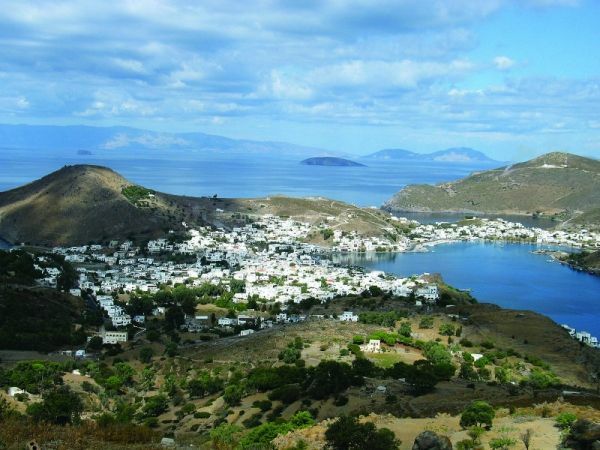 It is located in a lovely narrow bay, in the middle of the island, apx 4,5 km north of the Town (Chora). 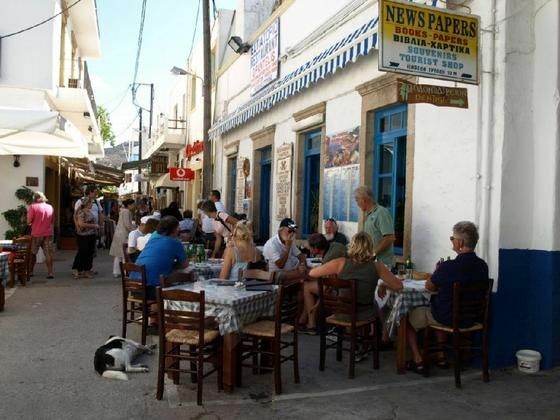 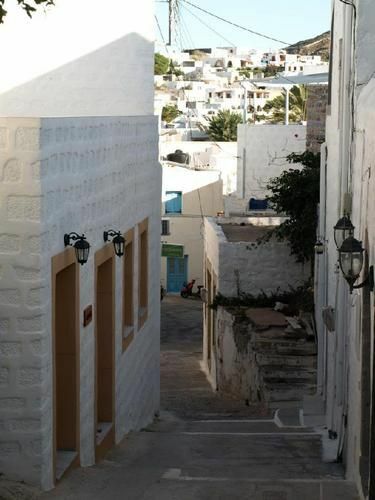 It is a nice settlement, with some traditional character (although not as traditional and beautiful as Chora). 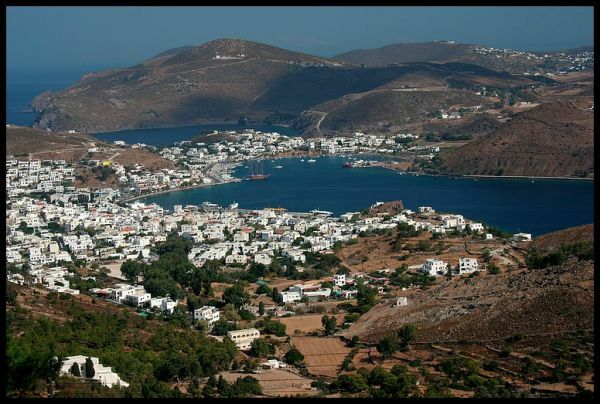 Due to the pirates' danger, before the 19th century, it was not developped and the main village was Chora. 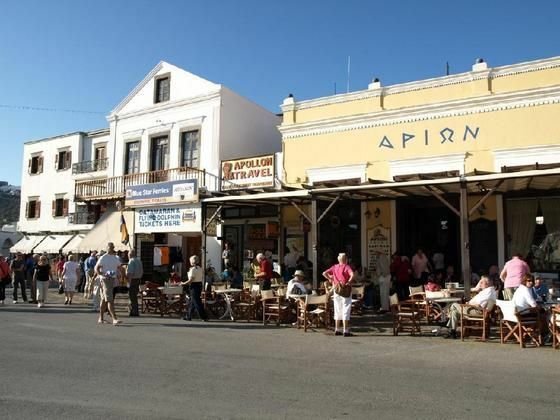 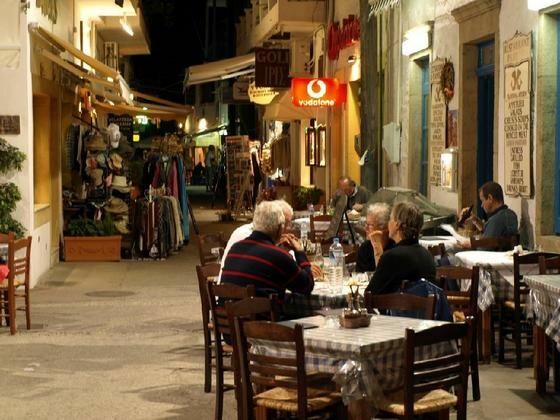 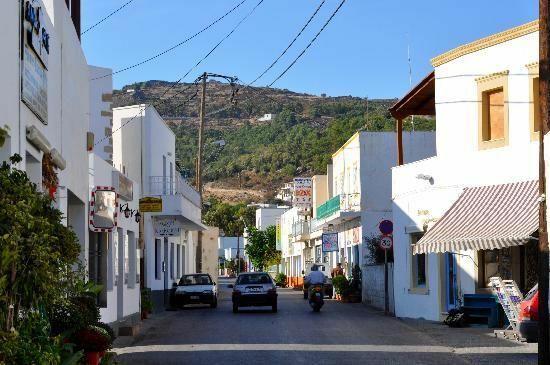 Nowdays it is the commercial center of the island and has many newly built hotels, gourmet restaurants, tavernas, cafe, nightclubs (only a few), banks (with ATM) etc. 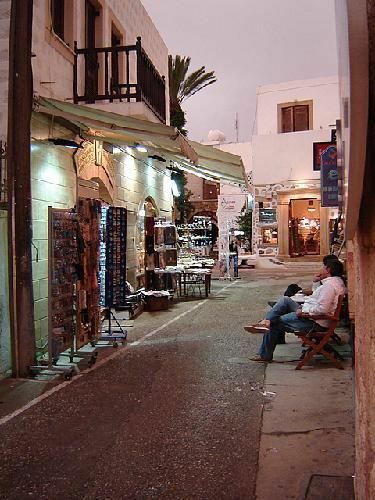 Scroll at its picturesque inner roads and you will find many interesting shops with jewlery, souvenirs, clothes, accessories and many more. 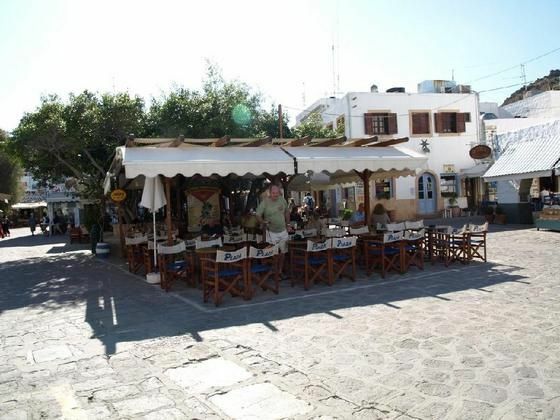 You may also have a drink right on the sandy beach of the settlement, where nice bars have set their tables. 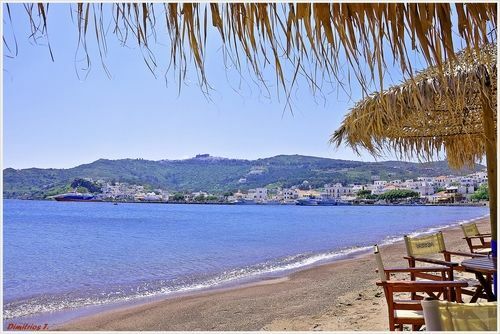 There are also some interesting sights in Skala, such as: The ruins of the Ancient Acropolis, the Snt Paraskevi of Cavos church (17th century), the church of Panagia Koumana and the Zoodohos Pigi convent. 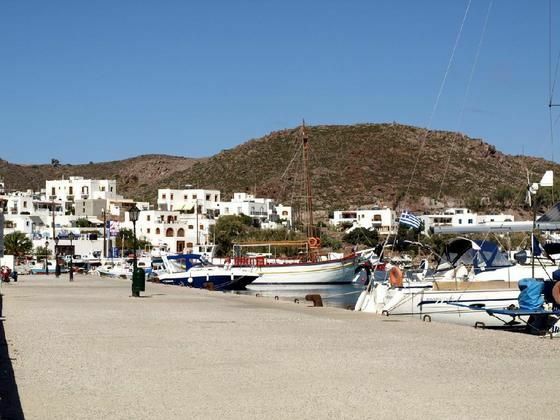 Just opposite Skala is the cute Petrokaravo islet. 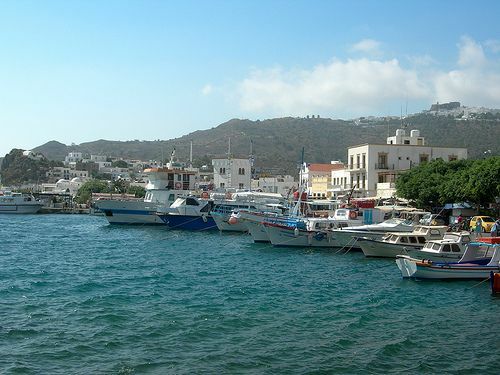 Buses start their schedules going to the rest of the island's areas. 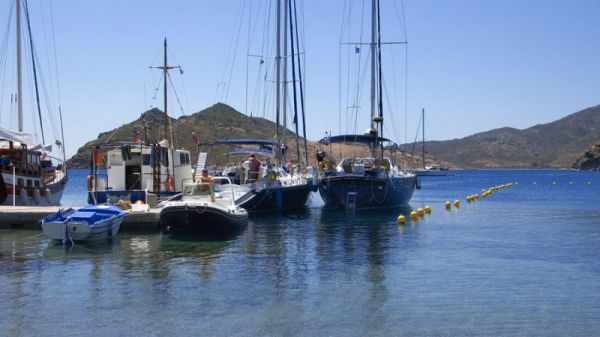 Moreover, sea taxis and fishing boats start their daily excursions from Skala to various beaches and the marvelous near by islands (Marathi, Arkioi etc). 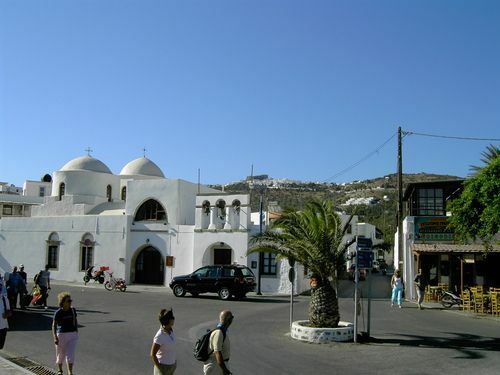 Opposite the ferry jetty there is an Italian style building housing the Custom's Office, a Police Station, the Post Office and the Tourist Information Centre. 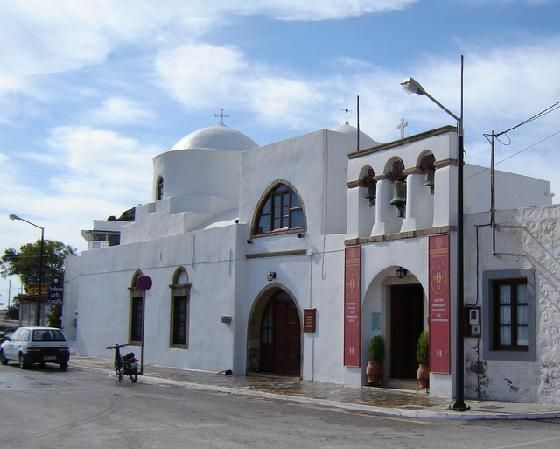 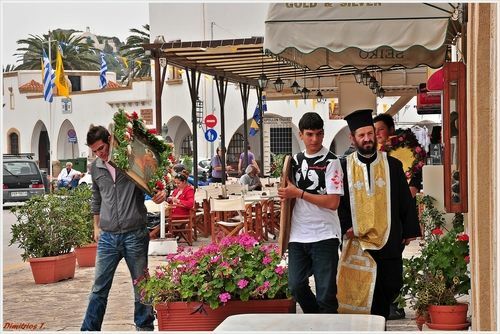 There is also an Orthodox Information Centre housed in a traditional building, connected with a beautiful church, on the corner of the road to Chora. 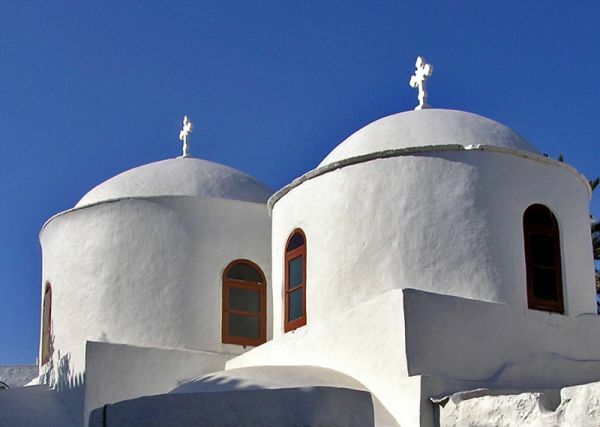 There you may get information about the monasteries, churches and chapels of the island. 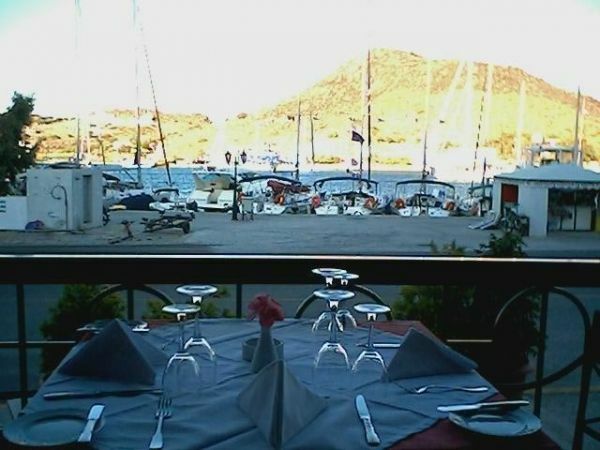 A modern supermarket is found apx 100m from the port (to Chora). 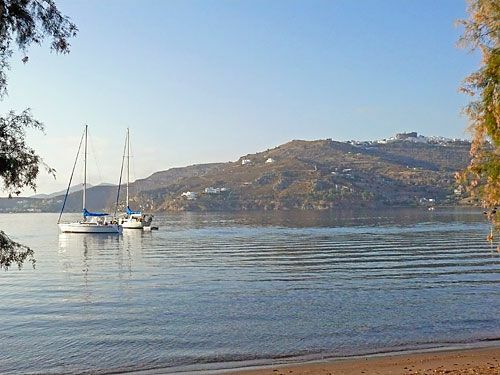 ANCHORAGE INFO: For off-shore anchorage choose Aspri beach near by, because the port is busy. 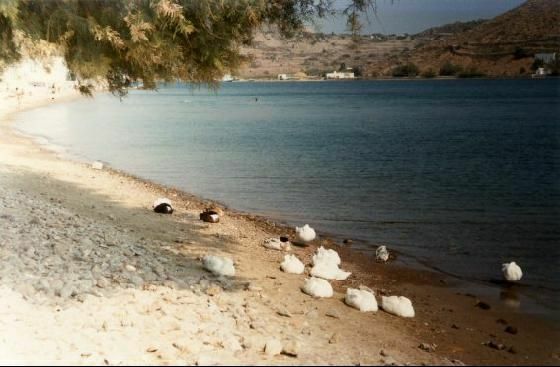 If you insisist, choose the N part.